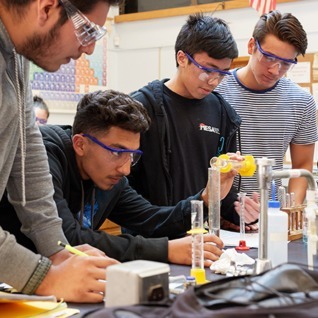 In October 2016, Contra Costa College was awarded $5.95 million by the U.S. Department of Education’s Hispanic-Serving Institution’s Science, Technology, Engineering, & Mathematics and Articulation (HSI STEM) Program. The purpose of the HSI STEM Program is to increase the number of Hispanic students attaining degrees in STEM fields and better facilitate transfers between two-year and four-year institutions in such fields. Increase the retention, graduation and transfer rates of students in STEM through case management advising and high-impact educational practices.